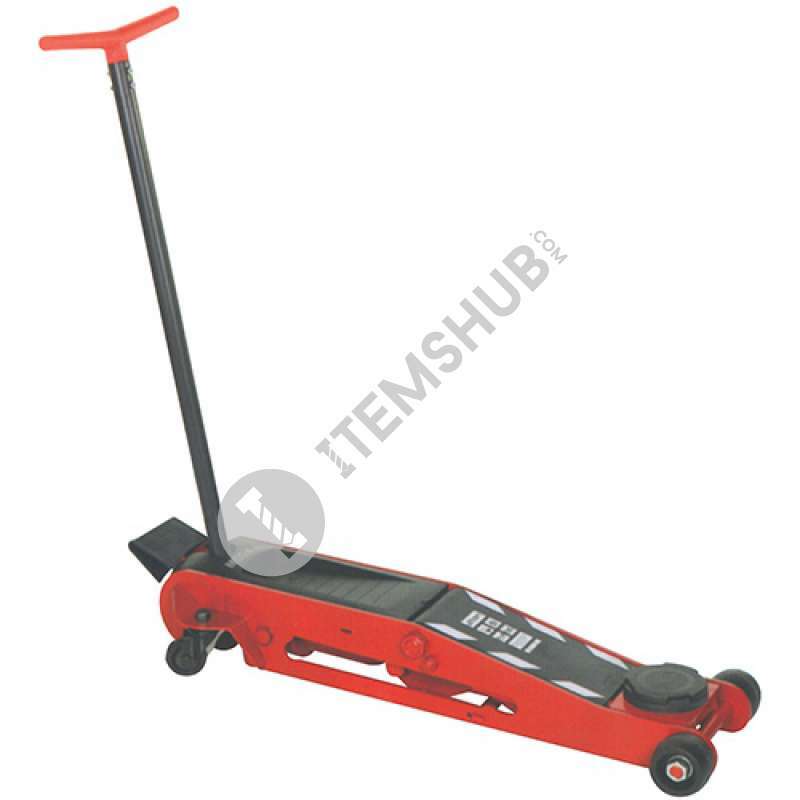 Fitted with polyamide wheels and casters manoeuvrability. These wheels will not damage garage floors, do not rust and quiet in operation. Foot pedal rapid recovery without load. The ergonomic handle with rubber grip allows for easier handling from any position. The models under 6t are fitted with polyamide wheels. These wheels will not damage garage floors, do not rust and are quiet in operation.Optimum use and distribution of material thanks to the rear side openings and front side reinforcements. Lighter yet stronger. Summary The ergonomic handle with rubber grip allows for easier handling from any position. The models under 6t are fitted with polyamide wheels. These wheels will not damage garage floors, do not rust and ar.. Careful design and excellent production quality thanks to the use of state-of-the-art technologies. The models under 6t are fitted with polyamide wheels. These wheels will not damage garage floors, do.. Careful design and excellent production quality thanks to the use of state-of-the-art technology. The ergonomic handle with rubber grip allows for easier handling from any position. Optimum use and di.. The ergonomic handle with rubber grip allows for easier handling from any position. The models under 6t are fitted with polyamide wheels. These wheels will not damage garage floors, do not rust and ar.. The ergonomic handle allows for easier handling from any position. The models under 6t are fitted with polyamide wheels. These wheels will not damage garage floors, do not rust and are quiet in operat..